Everything in Moderation. Except Flavour. 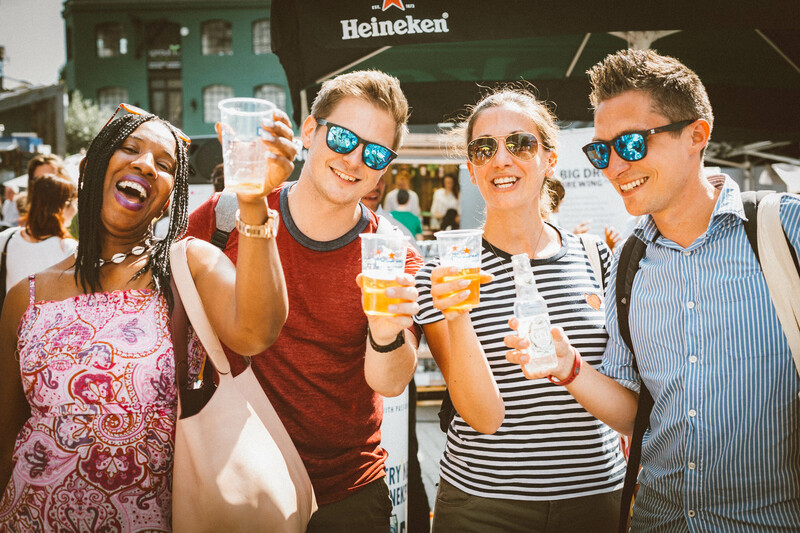 Join us in the Heineken pop-up bar at the centre of the festival for an after-work party to get your Friday evening started – alcohol-free. 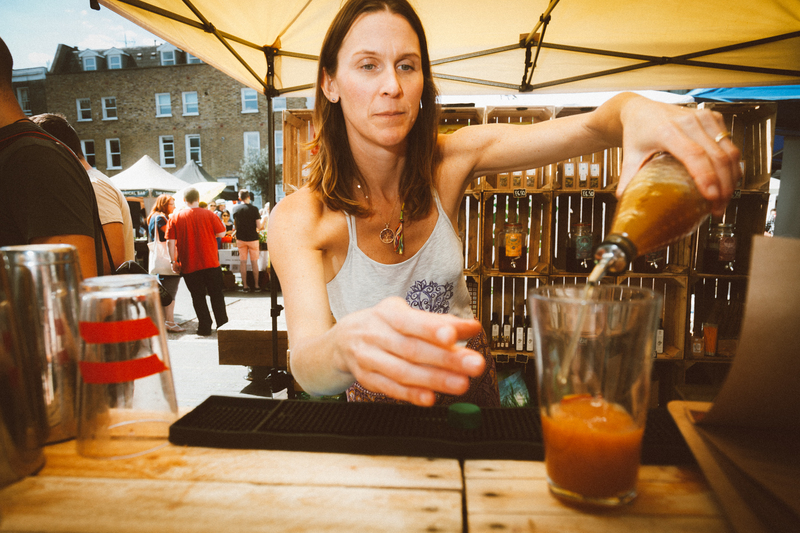 Why not bring your office down to Spitalfields for a different start to your Friday night! Award-winning stand-up comedian and Sober Stick Figure author Amber Tozer brings her new one-woman show to the Festival. 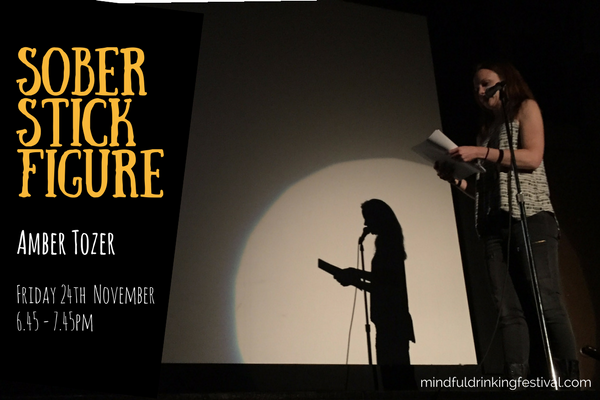 This will be the show’s first outing, and Amber is keen to get your feedback on her work in progress. 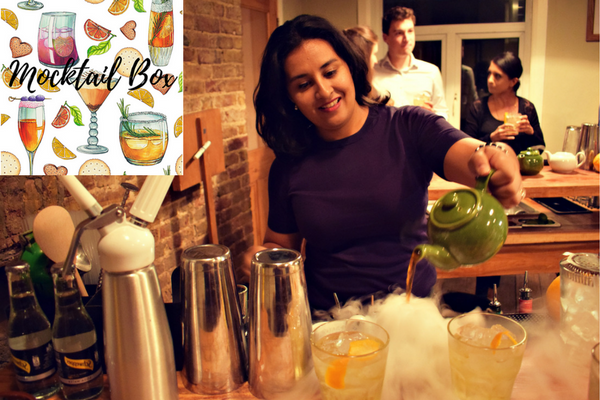 Join the founder of Mocktail Box and her expert bartender, who will be sharing some unique flavours, brands and creative techniques so that you can quickly learn to make beautiful and tasty alcohol-free drinks at home. 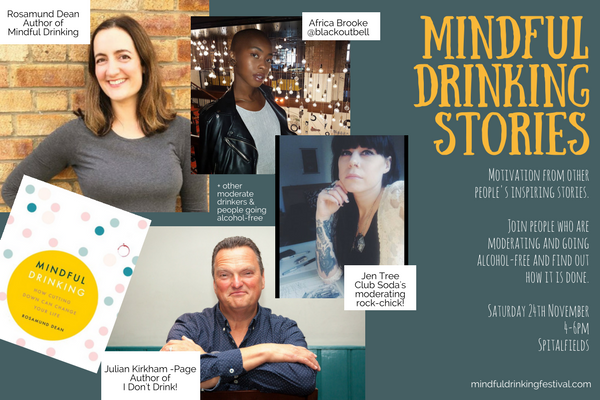 In this inspirational talk and interactive workshop, life coach Harriet Waley-Cohen takes us through the most common relationship worries that come from changing your drinking habits. 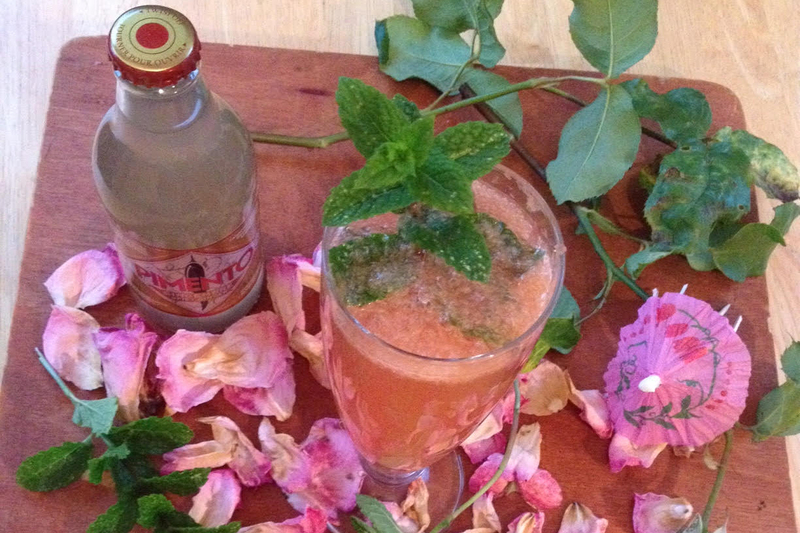 Learn how to make delicious alcohol free drinks with Double Dutch. 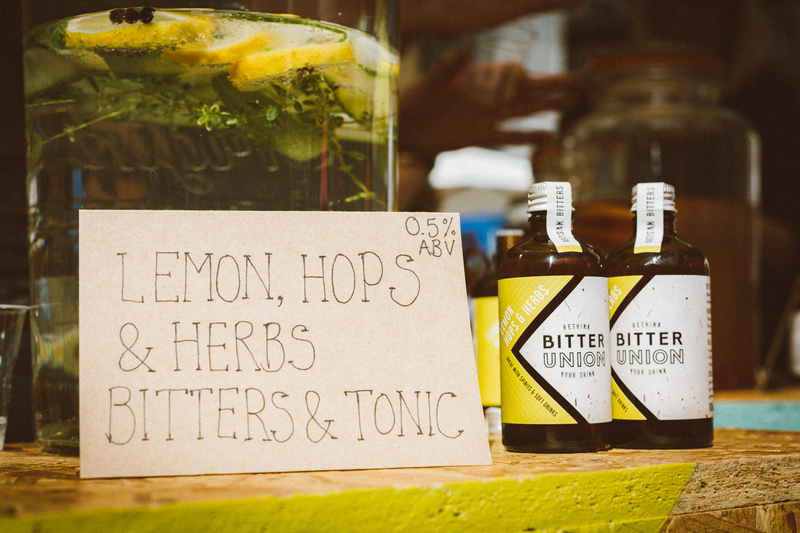 With Borrago Drinks, they will also demonstrate how to create a delicious teetotal G&T. Three free sessions will occur every 20 minutes on a first come first serve basis. 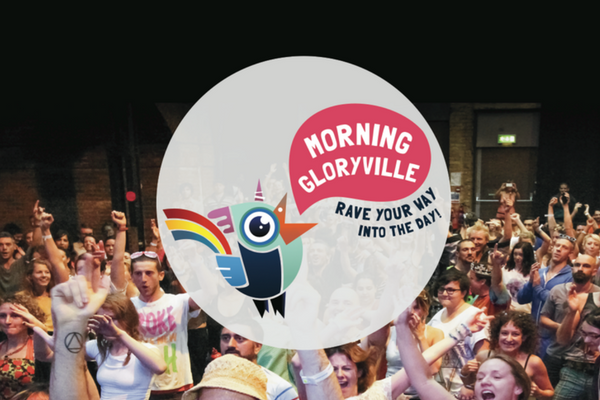 At this event you will get to hear real experiences from people like you. All of them have changed their drinking habits, in different ways, and for a variety of reasons. Great taste. All natural. 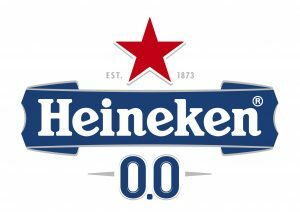 Zero alcohol. 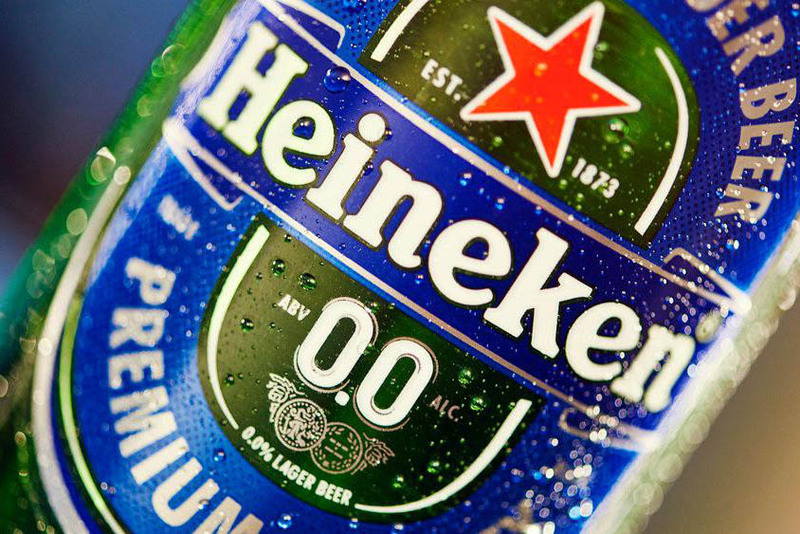 Heineken 0.0 is twice brewed and fermented from natural ingredients with gentle alcohol removal and blending to achieve a fruity flavour and slight malty notes. 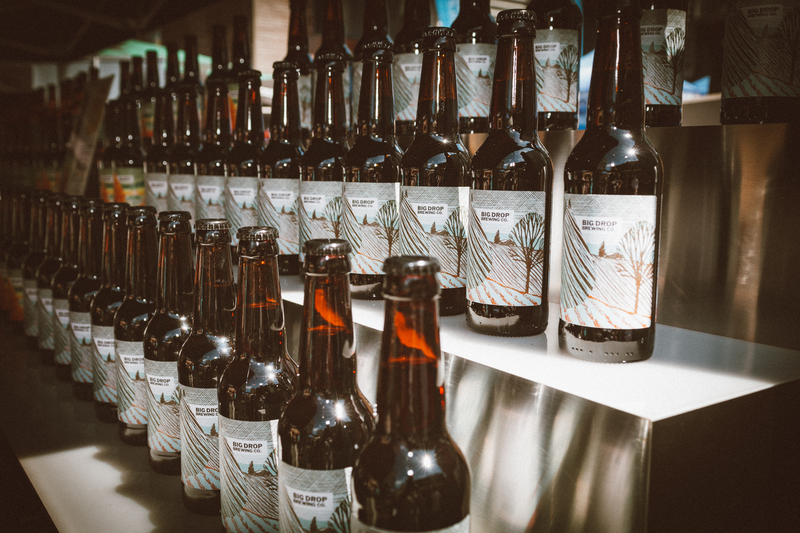 Big Drop Brewing Co. is exclusively dedicated to making the finest 0.5% ABV beers. You can try their award winning Milk Stout, Citrus Pale Ale, Lager and Spiced Ale. 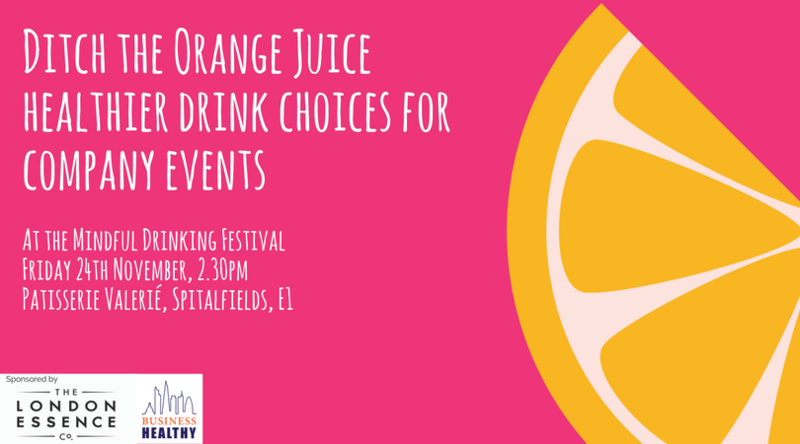 These are the drinks so far confirmed for our Festival line-up – and there will still be a few more to come! 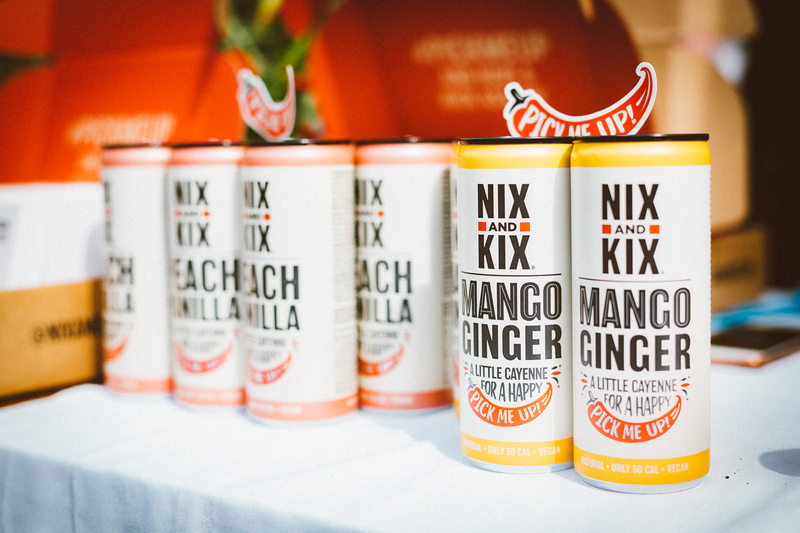 Pimento is a non-alcoholic ginger drink with a chilli kick. Invented by frenchman Eric Dalsace who was looking for something to replace the burn and intensity of a strong drink. 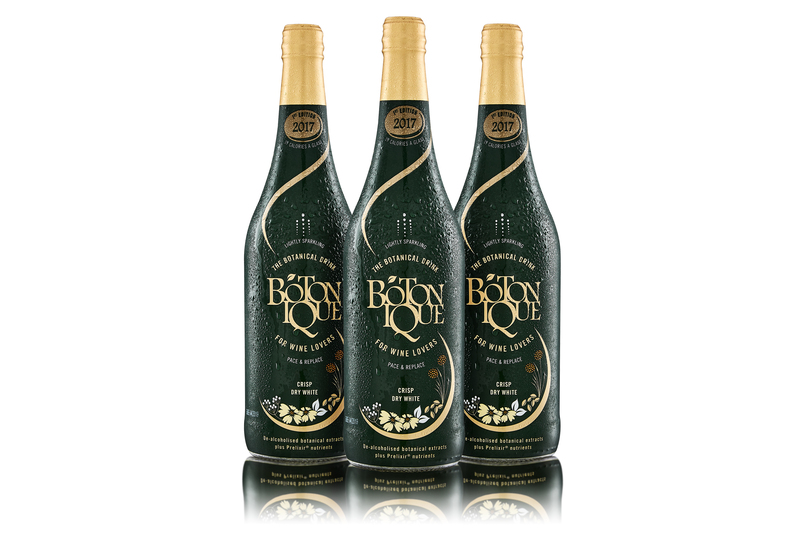 A refreshing and finely balanced non-alcoholic drink combining sparkling fermented grape juice and premium green tea for body. 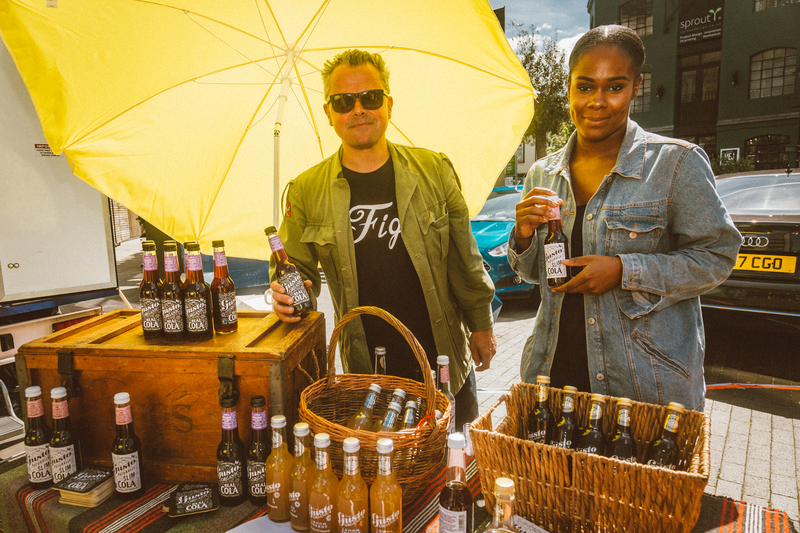 Uncommon Soda for Uncommon Folk – Bringing the best craft soda drinks from Colorado to the UK. 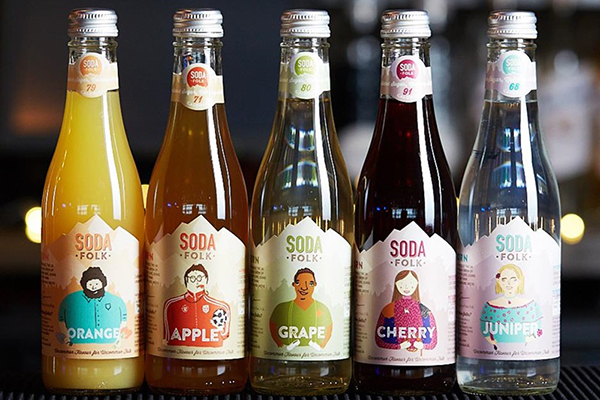 Soda Folk uses only the highest quality ingredients, to ensure a great-tasting refreshment every time. 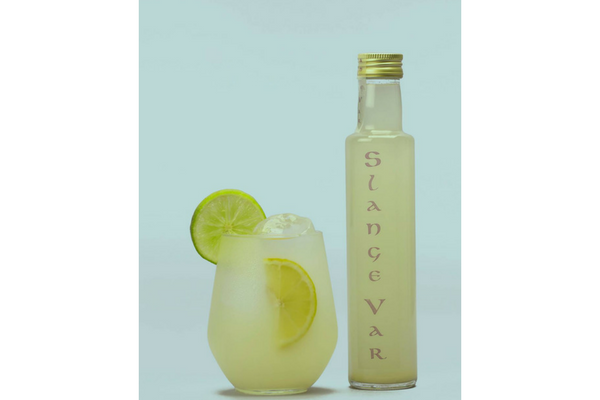 Slange Var is non-alcoholic, low in sugar, and doesn’t leave the overpowering sweet aftertaste of many soft drinks. It has a refreshing citrus flavour that can easily act as an alternative to white wine. 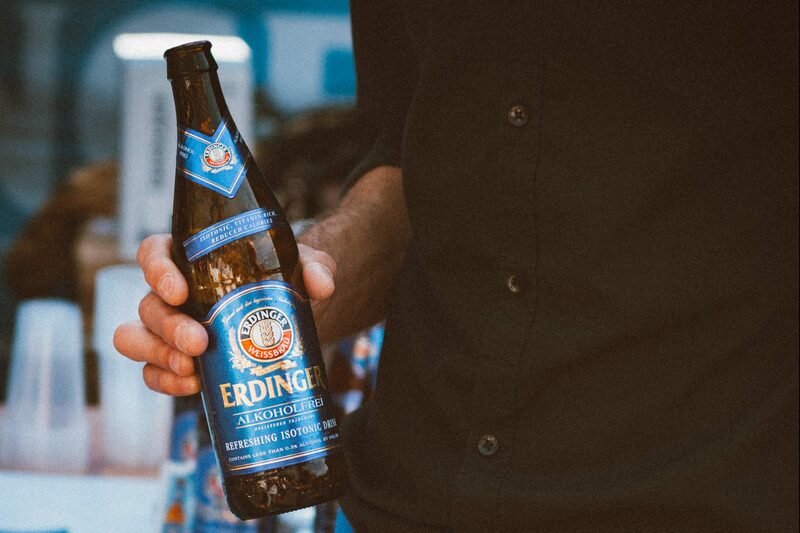 A regular at the finish-line of many sporting events, Erdinger Alkoholfrei is a German wheat beer that includes vitamin B12 and folic acid – making it an isotonic drink! Borrago is a delicious grown up drink with no alcohol, sugar or calories. 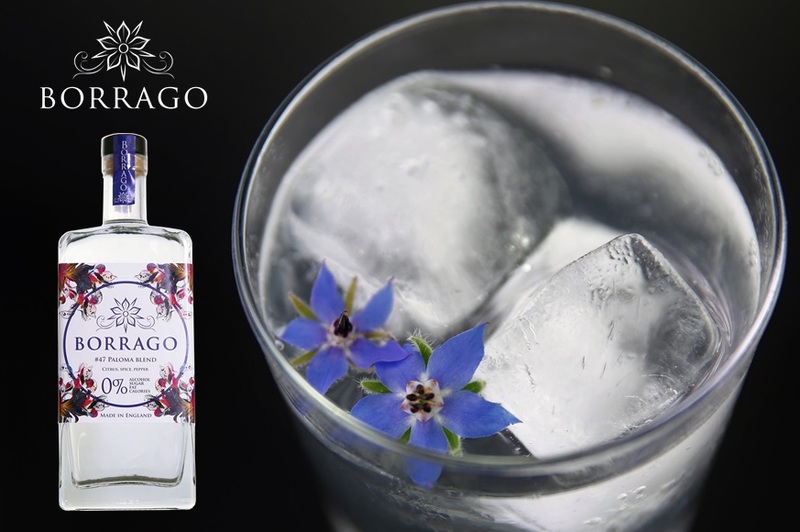 It is a sophisticated botanical spirit that is a fantastic base for exciting non-alcoholic cocktails. Launching at the Festival! 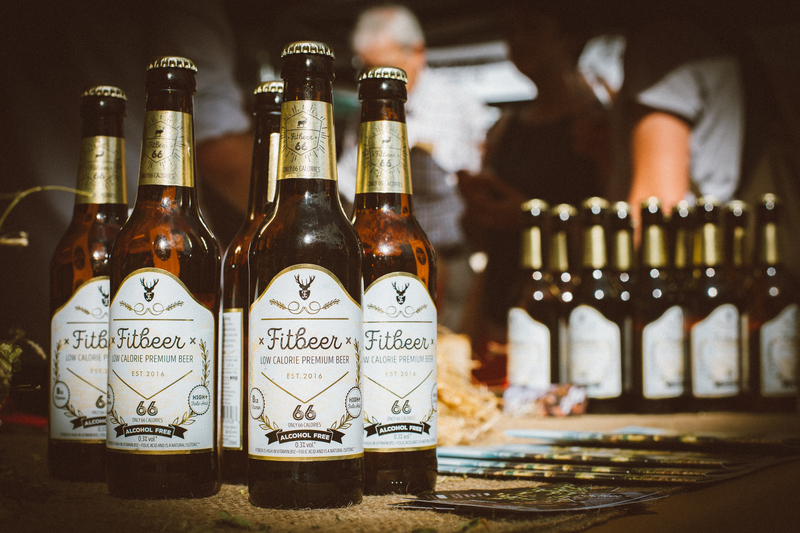 FitBeer is an alcohol-free artisan lager. Brewed in Bavaria to the highest quality, and a proud winner of the Great Taste Award. All the ingredients are 100% natural. Rethink your drink with Bitter Union. Add a few dashes of these all natural aromatic bitters to soda or tonic to create a low sugar, low alcohol drink. Gusto Organic create premium drinks from organic spices, fruit, essential oils and botanicals. 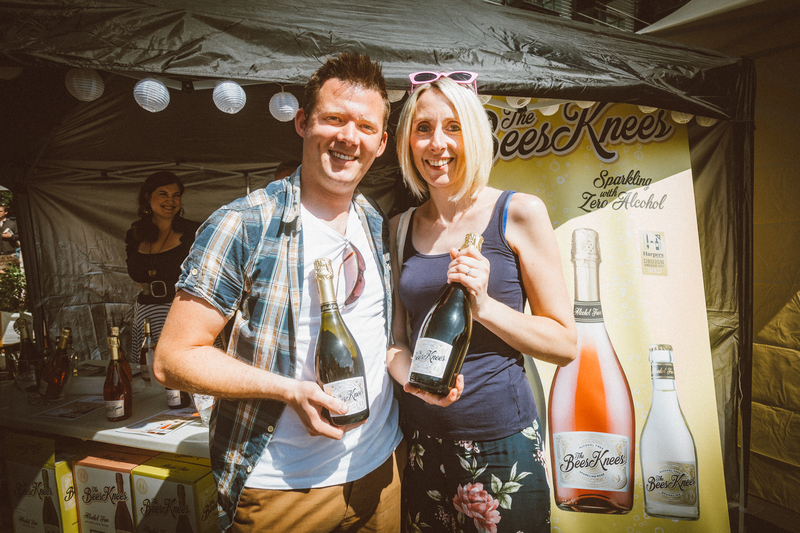 All their drinks are made in small batches in Devon with spring water from the hills of Exmoor. 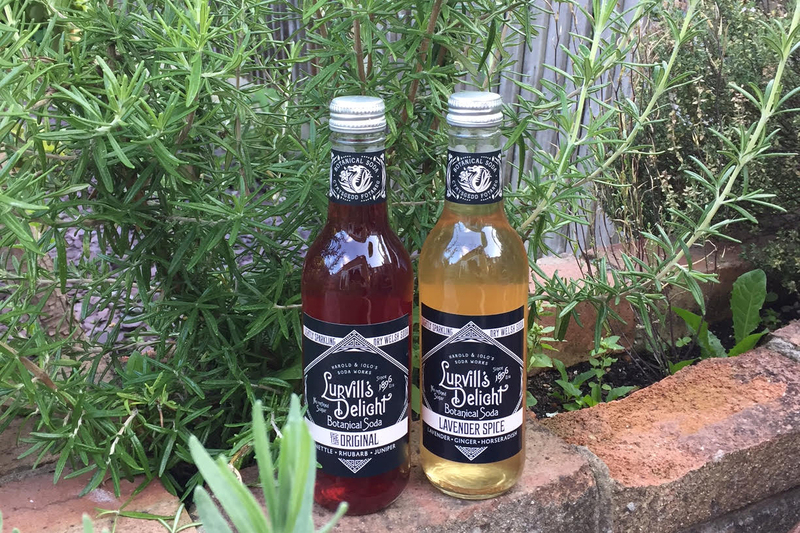 The botanical drink for wine lovers. Without grapes or alcohol, Botonique doesn’t taste like wine, but rather complements it. The flavour is utterly unique. 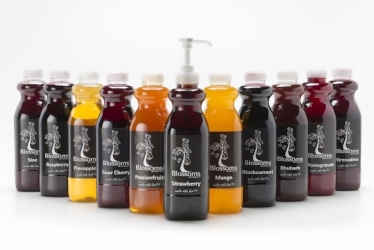 Blossoms Syrup is a unique super premium British syrup brand, 100% natural, suitable for vegans and available in 13 delicious flavours, for use in cocktails and as a cordial. 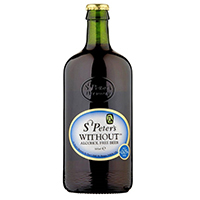 St. Peter’s Without® is a 0.0% delicious full-bodied alcohol-free craft ale, which has a distinctive malt flavour, from one of Britain’s finest small breweries. 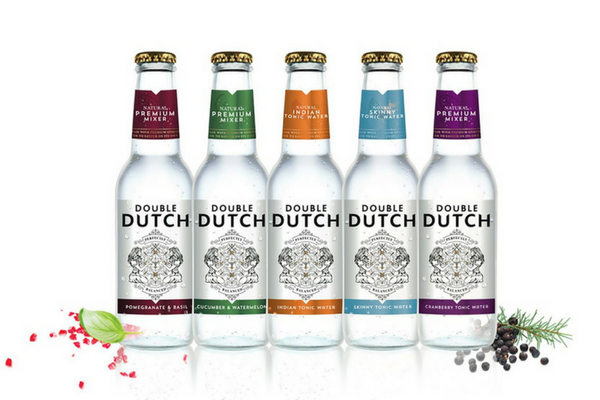 Double Dutch favoured tonics elevate the spirit, spurring the tastebuds to experience new and richer, deeper and more exciting flavours. They reward the drinker with sensations that improve rather than dilute their chosen drink – it should bring a spirit to life. 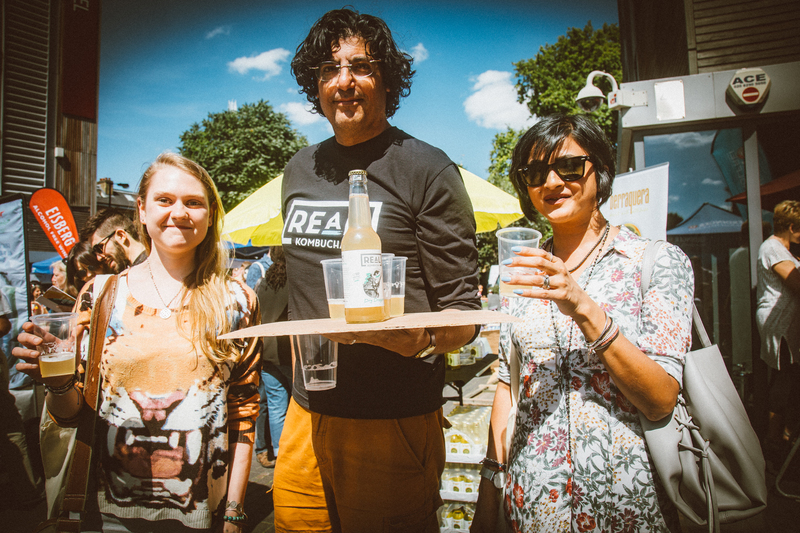 Experience Real Kombucha, the best tasting kombucha (it’s just fermented tea) on the planet, in three flavours: the rich apple and caramel Smoke House, the pear and lemon Dry Dragon, and the floral and elegant Royal Flush. 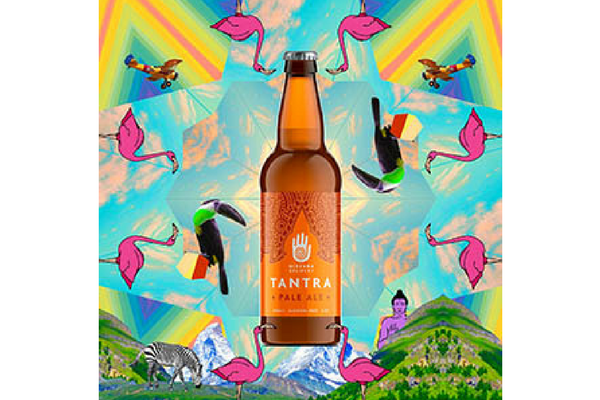 Nirvana is the UK’s first dedicated low/non-alcoholic brewery based in Leyton, East London. Come and try their Kosmic Stout and Tantra Pale Ale. 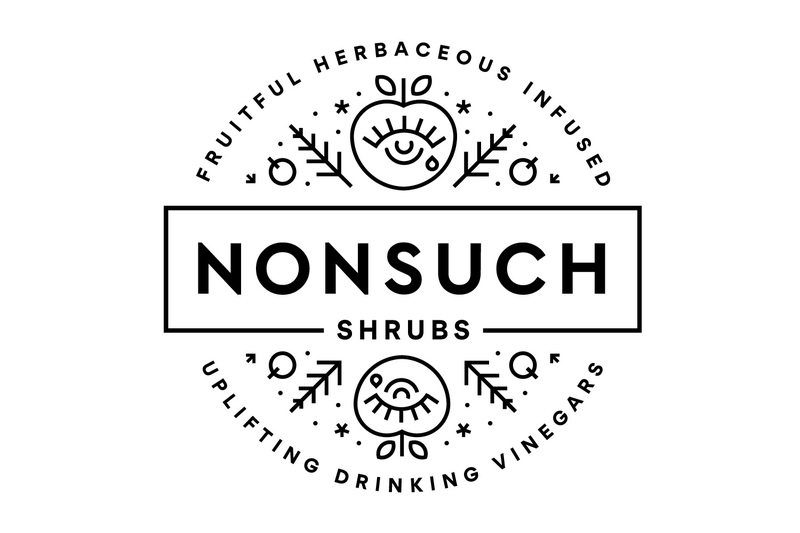 Nonsuch’s drinks are sparkling, fruitful and herbaceous. 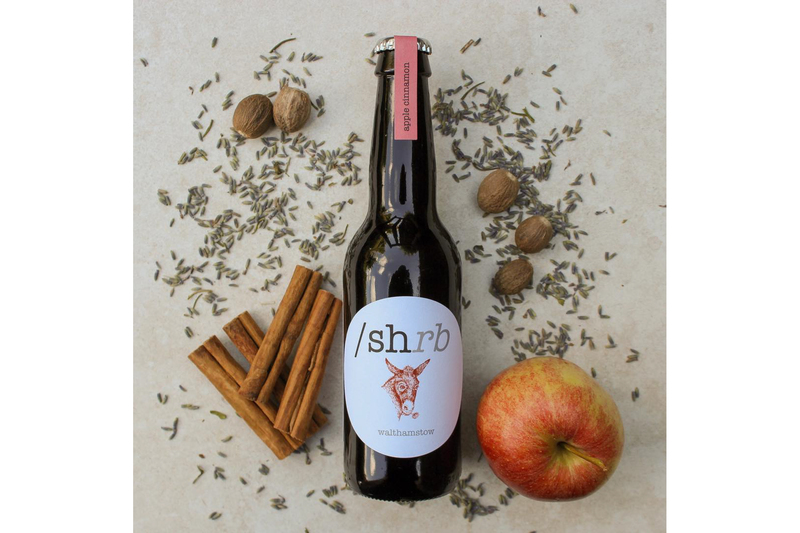 Made with a sweetened cider vinegar-based syrup, they are tart, refreshing and bursting with flavour. They are not yet in the shops so make sure you stock up! 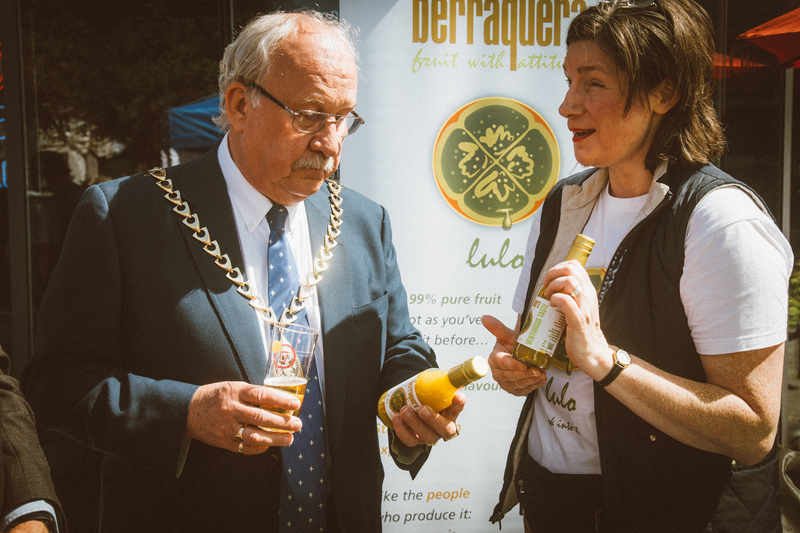 Berraquera is a punchy soft drink based on lulo, an exotic fruit from the Andes. It’s ideal on ice, super as a spritzer and amazing as a mixer. This drink backs smallholder farmers sowing into biodiversity and peace in Colombia. Spice Drops® offer you the ability to bring any food and drink to life with authentic flavours in a way that’s both quick and convenient. Excellent for alcohol-free drinks and cocktails. As they are highly concentrated, a little drop goes a long way! A dry refreshing blend of Welsh spring water, botanical extracts and natural infusions. Free from artificial flavours, colours and preservatives, with no added sugar. 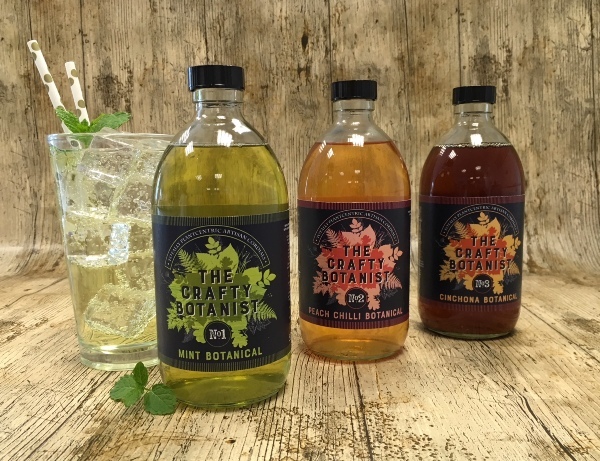 Our botanical sodas are inspired by that original recipe crested by Harold and Iolo. Skilfully blending natural ingredients and botanical extracts to deliver truly unique tasting syrups. 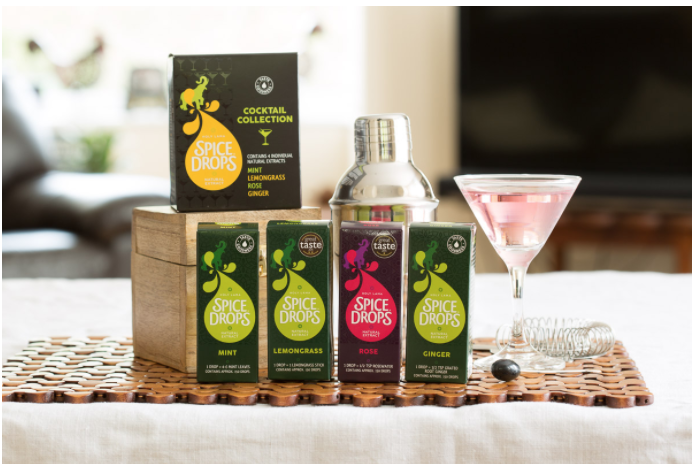 Our exciting range can be diluted with either still or sparkling water, and also make great bases for non-alcoholic cocktails. 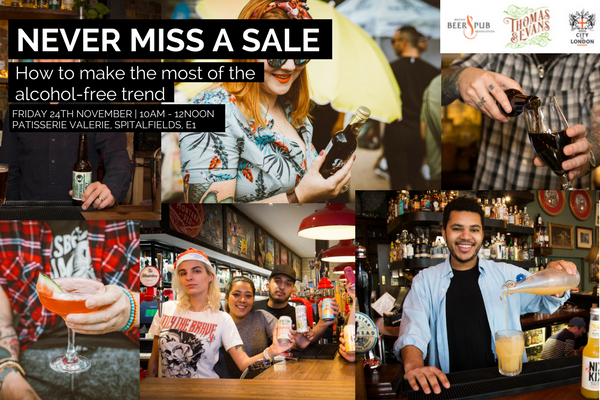 For pubs, bars, restaurants – this brunch event with Club Soda, The British Beer and Pub Association, Thomas & Evans No: 1 and The City of London will give you unique insights into the growing alcohol-free drinks market. Club Soda and Business Healthy will give you unique insights into what people are drinking when they are not drinking alcohol. Alongside London Essence we will share ideas for extending the same ‘pizzazz’ to your staff and guests who are socialising with less or no alcohol.